Ashhurst man Harvey Jones has sounded a warning about what Turitea [NZ] residents could be in for if a wind farm gets the go-ahead there. Yesterday, he described to the board of inquiry considering the Turitea proposal how he would hear a ‘‘low rumble like a train’’ and a noise ‘‘sometimes like a jet flying over the top’’. ‘‘It can be worse. It can be a roar,’’ he said. 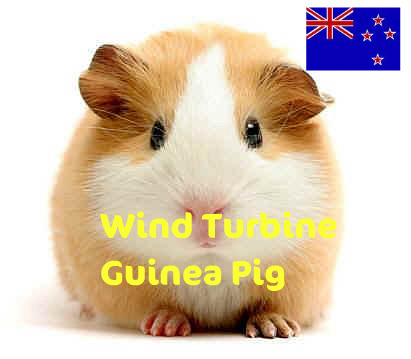 He lived about 2.8 kilometres from the Te Apiti wind farm. Turbines should be at least 3km from houses, he said.